This genus of 50 species hails from all over the Northern Hemisphere and contains a handful of ornamental herbs and one striking subject for the perennial border. A. gigas, which came to our shores from Korea, has broad, fingered foliage and deep reddish purple stems. 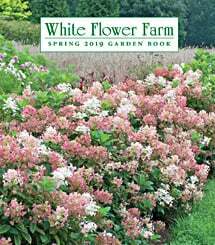 This rich coloration extends to the 6-8" broad umbels of minute flowers that cap 5-6' plants, hence its value as a dramatic accent in the garden. Effective from the middle of August, when the flowers begin to open, until the seed heads ripen toward the end of September. It is adaptable as to culture, growing in full sun or partial shade and average garden soil. In our gardens, it has biennial tendencies and is generally short-lived, but plentiful seedlings make for a perennial display that is in a class by itself. This is a plant that I purchased years ago on a whim and it has been self seeding ever since. They bloom (at least 4 feet tall) in the late summer and are gorgeous, stately and great attractors of pollinators. If you leave the bloom, they self seed and you will find them everywhere. The seedlings are easily moved and I have yet to find a place they do not like. The seedlings you plant today, will grow tall and bloom the next year, so once you have the alternate years going, you will have blooms each year. No pests are attacted to these plants and neither are the deer! The size that White Flower sells won't bloom the first year. It is not right to sell a plug as a fully developed plant. Although the plants are often sold not ready for blooming, I feel and have found from experience that the plant stabilizes better if it has time to grow proper roots, these are big tall plants and a proper rooting is essential for its stability in the garden. I have many times received plants that took a second year before bloom only to find they established themselves solidly and weathered storms much better. Enormous umbels that are covered with bees when in bloom in late summer through fall. The stems are dramatic, the leaves large, and they don't need staking or any kind of fuss. This plant will stop every garden visitor in their tracks. Grow in full sun or partial shade and average garden soil. After flowering, the plants die. Allow the seed heads to ripen and seedlings will soon replace the parents.